José Carlos Rubio from Michoacan's University of San Nicolas Hidalgo (UMSNH) created cement that emits light without the need for batteries or solar cells and can last for a hundred years. Rubio found a genuinely creative arrangement; he found that by modifying the fine structure of cement in some ways, he could come up with a variety that seemed to glow in the dark. 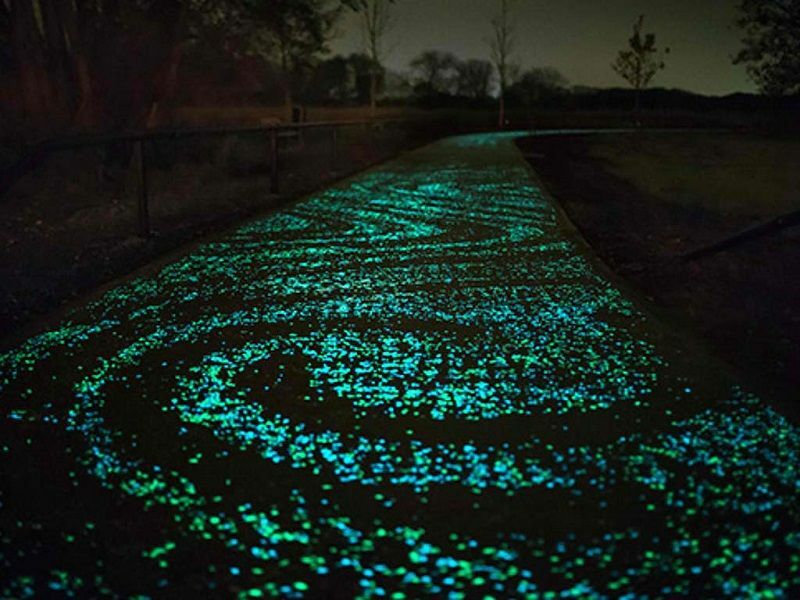 For the past several years, solar road has grown popular because it is a different way of lighting up a road. However, regular glow-in-the-dark materials do not last long because they are made of plastic that easily degrade after only several years of exposure to the sun. Rubio says, "Nine years ago, when I started the project, I realised there was nothing similar worldwide, and so I started to work on it. The main issue was that cement is an opaque body that doesn't allow light to pass to its interior." To break this jinx, he explains that cement is like a dust and becomes a gel when water is added to it. He adds, "In that moment it starts to become a gel, similar to the one used for hair styling, but much stronger and much more resistant. At the same time, some crystal flakes are formed; these are unwanted sub-products in hardened cement." He and his team who worked with him in this project, they modified the microstructure of the cement and got rid of the unwanted crystals so that the cement remains in a gel form. Hence, the cement remains as gel and it can absorb solar power during the day and can emit for 12 hours during night or darkness. As per Rubio, the light-transmitting item could keep going for a long time and give light to around 12 hours during the evening. The force of light radiated can be changed so it doesn't overpower drivers or cyclists. The light gleams as a cool green or blue. The cement would spare a lot of power, as well as the procedure to make it is naturally neighborly too. Amid assembling, the main thing discharged is water vapor. There are a wide assortment of business applications; as indicated by Rubio, four billion tons of cement were made all through the world in 2015, and the sparkling cement can be put to use for roads as well as structures too. The innovation could even be utilized as a part of plaster. As per the journal Investigacion y Desarrollo, Rubio's examination has achieved the commercialization stage.